Two new posters have been revealed tonight. 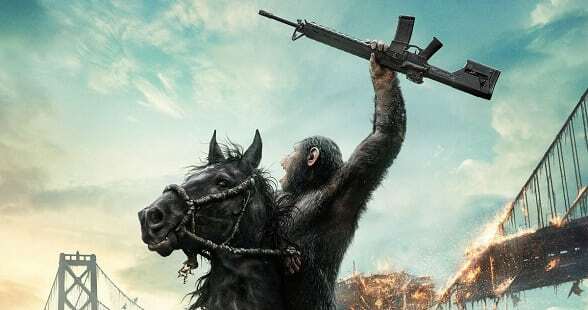 First up we see Caesar leading his apes into battle in the latest Dawn of the Planet of the Apes poster, and secondly we see Chris Evans fight his way to the front in a new Snowpiercer poster. Andy Serkis, celebrated for his performance in the last film, reprises his role as Caesar. Jason Clarke (Zero Dark Thirty, Public Enemies, The Great Gatsby), Gary Oldman (The Dark Knight Rises, The Harry Potter franchise), Keri Russell (“The Americans,” Mission Impossible III), Toby Kebbell (The Prince of Persia, Wrath of the Titans, Rock N Rolla), Kodi Smit-McPhee (Let Me In, ParaNorman), Enrique Murciano (Traffic, Black Hawk Down), Kirk Acevedo (The Thin Red Line), and Judy Greer (The Descendants, Three Kings, 13 Going on 30) also star. Dawn of the Planet of the Apes is directed by Matt Reeves (Cloverfield, Let Me In). The producers are Peter Chernin, Dylan Clark (Rise of the Planet of the Apes, Oblivion), Rick Jaffa, and Amanda Silver (Rise of the Planet of the Apes). Tom Hammel (Rise of the Planet of the Apes) is executive producing. Oscar-winning visual effects house WETA Digital – employing a new generation of the cutting edge performance capture technologies developed for Rise of the Apes and Avatar – will again render photo-realistic, emotionally-engaging apes. The film’s key behind-the-scenes team includes director of photography Michael Seresin, production designer James Chinland, and VFX Supervisors Joe Letteri and Dan Lemmon, VFX producers Ryan Stafford, editor Bill Hoy and Stan Salfas, and costume designer Melissa Brunning. 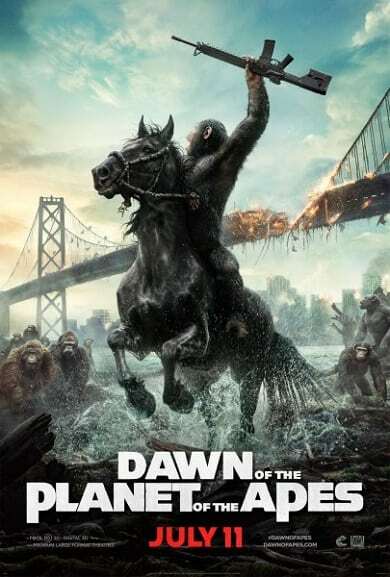 Twentieth Century Fox will release Dawn of the Planet of the Apes in UK cinemas on 17th July 2014. The cast includes Song Kang-ho, Chris Evans, Jamie Bell, Alison Pill, John Hurt, Tilda Swinton, Ed Harris, Ewen Bremner, Octavia Spencer and Luke Pasqualino. Park Chan-wook (Oldboy, Thirst, Stoker) produces. 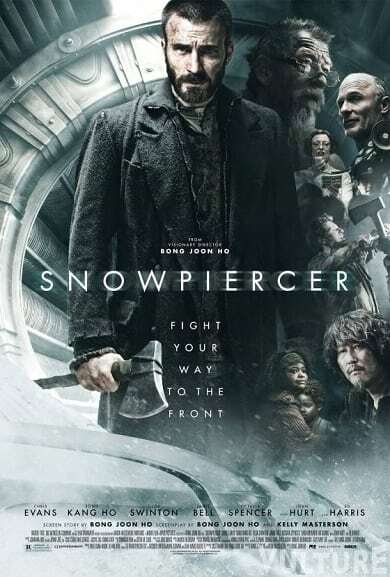 Snowpiercer finally arrives in limited US cinemas on June 27th.